Many couples close to retirement look to other countries for an affordable and budget-friendly lifestyle. However, other expenses related to living abroad can creep up if you don’t have a well-thought-out plan. 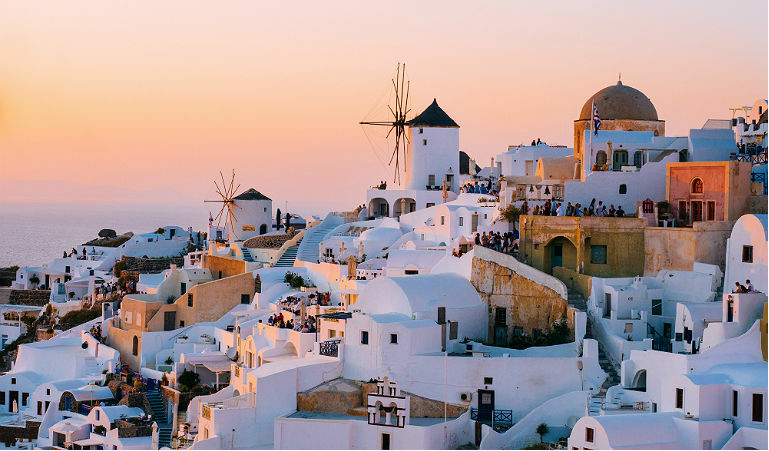 Because each country is so different, it’s impossible to predict just how much you will need, but here are some of the over-looked fees you should be aware of when planning to retire abroad. Paying for what you leave behind. If you keep a home in the U.S., it will require some upkeep and maintenance. You might choose to hire a professional service to mow the lawn and clean out the gutters. Flying home to make repairs will also add to your maintenance costs. Leaving a car behind would also rake in some insurance and maintenance bills for a vehicle that is hardly being used. The biggest expenses often result from holding onto possessions. Even just renting out a storage unit for some of your belongings can costs thousands of dollars each year. When looking for a country to retire in, the cost of living can often appear to be much cheaper than in the U.S. Don’t let low rent prices fool you. Research the costs of utilities like Wi-Fi, fuel, phones, internet and natural gas. You might find that you’ll spend more each month just to have access to the certain utilities you are used to. If you don’t speak the language of the country you decide to move to, consider the costs of requiring a translator. Many restaurants and entertainment venues charge a “tourist” price for foreigners who don’t speak their language. It could also be something as simple as needing a plumber and being charged more for someone who will be able to communicate with you. As a citizen of the United States, you are fairly aware of the systems, like renewing your driver’s license. In other countries, immigration and residency requirements can be complicated and costly. You also might end up spending more because you need help. Medicare won’t cover the cost of your health services outside of the United States. You might end up buying an international health insurance plan or factor in out-of-pocket health care costs. There may be local insurance options where you decide to retire and some countries even offer a national insurance plan. Private insurance might end up being cheaper, though. Keep in mind that inexpensive plans often have higher costs as you age. It’s easy to assume that exchange rates will always work in your favor. For example, if you choose to live in Europe, you might find that the weakening dollar makes everything more expensive. Even if you think the exchange rate works well for you now, don’t forget they can vary greatly over time. A gradual change in 10 or more years could impact your day-to-day budget significantly. Planning a trip back home each year is a great way to keep in touch with your kids and grandkids. That said, you might find you want more time with them and therefore travel to the U.S. more often. If a loved one’s health changes suddenly, you could find yourself in the states for weeks or months at a time to help out. Missing certain foods or electronics can lead to higher bills as well. It’s easier than ever to find what you’re looking for abroad, but they usually come with big import taxes and shipping expenses. For example, you might be able to find peanut butter at a specialty food store, but end up paying double what you spend back home just to enjoy it. Choosing to retire abroad might be just the thing you are looking for to happily live out the rest of your non-working days. Do some research before you go. We would be happy to schedule a free listening session to help you make an informed decision. A life well planned can bring enormous joy in having purpose and fulfillment.